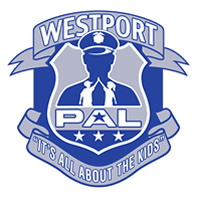 The Westport Police Athletic League (PAL) abides by a strict Code of Conduct governing all coaches, players, officials and parents. The purpose of the Code is to ensure that the Westport PAL participants treat each other with dignity and respect. The Code of Conduct is a condition of membership for all players, parents, coaches and officials. All members of Westport PAL agree to abide by the Code of Conduct and to be subjected to the consequences of violating the Code. It is understood that by enrolling into the Westport PAL programs that players, parents and coaches are all bound by this Code of Conduct and its validity is hereby a matter of record and is not dependent upon physical signature. All enforcement decisions made by the officials of Westport PAL are final and are not subject to review. No refunds will be granted to those players dismissed from the program for violating the Code of Conduct. 2. Know the rules of the game of the sport. 3. Respect the game of Football, Lacrosse, Basketball, Wrestling and the Cheerleading and Track programs. 4. Respect the officials. Respect the coaches, most are volunteers. 5. While the child is practicing or playing in a game do not coach your child. Let players play and coaches coach, and support both positively. 6. Do not EVER criticize other players regardless of the circumstance. 7. Follow the “24 Hour Rule”; if you have a complaint resulting from a game (or practice) situation, speak with the coach on the following day. 8. If there is a serious problem, notify either the President or a Vice-President of the designated sports program. If you are not satisfied of the resolution contact the Westport PAL Athletic Director. 9. Emphasize the FUN of the game and the team, putting forth effort at all times, not wins and losses. 3. Know the rules of the game of sport you are in and abide by them. 5. Wear the required equipment at all games and practices, and keep your equipment well maintained. 7. Don’t be afraid to make a mistake that is part of learning. 2. Coaches must reinforce the self-image of each player. A coach must be positive and constructive. 3. Respect the sport you are coaching. 5. Teach the rules of the sport program. Abide by those rules in practices and games. 6. Establish objectives for the team and players and inform them of team and individual goals. 7. Teach and practice good sportsmanship at all games and practices. 8. Be modest in victory and gracious in defeat. 1. Any conduct, including abusive language and/or gestures, racially insensitive remarks, damage to property or belongings, or any other conduct that reflects poorly on yourself or the Westport PAL and is deemed to be unacceptable, will not be tolerated. This rule applies to all players, parents, siblings and guests at all times when in or around games or practices as a member of the program. 2. During a tournament or game when you are away, you represent the Town of Westport and the Westport Police Athletic League (PAL). Any conduct such as shoplifting, destruction of property, consumption of drugs or alcohol, or any other improper activity or behavior will not be tolerated. This rule applies for the entire time when it is away for a game or tournament. 3. The Board of the Westport PAL and the Athletic Director will deal with unacceptable conduct at its sole discretion, Imposing warnings, suspension or expulsion, as it deems appropriate. *ANY SUSPENSION OR EXPULSION BASED ON VIOLATIONS OF THE CODE OF CONDUCT WILL NOT BE ACCOMPANIED BY A TUITION REFUND. In order to encourage players to develop as young men and women, players should communicate directly with their coaches, and by the 7th and 8th grade level this is a requirement. This includes concerns or questions regarding playing time, positions, team placement and suggestions for improvement/feedback. *An exception for this is for health issues such as allergies, asthma, ADD/ADHD, diabetes, etc., which parents should communicate directly with coaches if the feel the need. All health issues will be kept strictly confidential. If parents have issues with a coach, they should discuss the issues with the program PRESIDENT, after observing the 24 hour waiting period. Please remember that some of our coaches are volunteers, and in the case of our 7th and 8th grade programs, they normally do not have children on the teams they are coaching. Please respect their time and dedication to creating a fun, learning experience for all of our players. As the Westport Police Athletic League we expect and encourage all of our athletes to play other sports during the rest of the year, as it both increases athletic development and more importantly, adds to players’ enthusiasm for all of the sports they play.